Research assistance in the health and life sciences is available at the Louise M. Darling Biomedical Library. See Reference and Research Help for complete reference service options. Provides ready access to information on measurement instruments in the health fields, psychosocial sciences, organizational behavior, and library and information science. Provides ready access to information on measurement instruments (i.e., questionnaires, interview schedules, checklists, index measures, coding schemes/manuals, rating scales, projective techniques, vignettes/scenarios, tests) in the health fields, psychosocial sciences, organizational behavior, and library and information science. 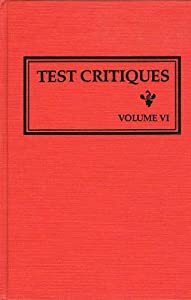 Full-text information about and reviews of published English-language standardized tests covering educational skills, personality, vocational aptitude, psychology, and related areas. 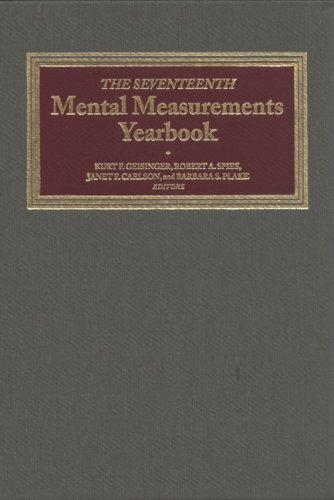 Mental Measurements Yearbook, from the Buros Institute, contains descriptive information and critical reviews of more than 2,000 commercially available, standardized, English-language, educational, personality, aptitude, neuropsychological, achievement and intelligence tests. Also in print under call number: Z 5814 P8 M549. Full-text access to unpublished psychological tests, measures, scales, surveys, and other assessments. Most records include the actual test instrument. 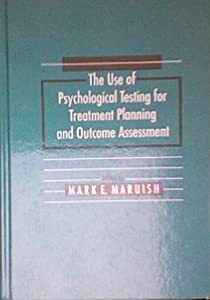 Developed by the American Psychological Association Science Directorate as a way to provide guidance in how to find information about tests and how to locate them. APA’s Testing Office does not maintain, sell, or endorse any tests. However, they do try to assist the public by directing people to the available resources to help them find what they need. In addition to the material provided on this site, additional testing-related resources are available through the Testing Information Clearinghouse page and the page of links to other testing-related sites. Practioner's Guide to Empirically Based Measures of Anxiety. Antony, Martin, et.al. Practioner's Guide to Empirically Based Measures of Depression. Nezu, Arthur, et.al. Practitioner's Guide to Empirically Based Measures of Social Skills. Nangle, Douglas W., et.al. Practitioner’s Guide to Empirically Based Measures of School Behavior. Kelley, Mary, et.al. Tests or scales have been developed to measure almost every attribute of human behavior. Finding information about them can sometimes be difficult. The following sources can help you find either a specific test by title or author, or a test that measures a certain human attribute such as self-esteem. The Biomedical Library does not have actual copies of any psychological tests. However, most of the items listed below include information about how to obtain copies of the test. Please remember that to actually use an instrument you are required to obtain copyright clearance from the author and/or publisher of the item. All these items are located in the Biomedical Library Reference Stacks (located behind the elevators on the 1st floor) unless otherwise noted. Mental Measurements Yearbook, from the Buros Institute, contains descriptive information and critical reviews of more than 2,000 commercially available, standardized, English-language, educational, personality, aptitude, neuropsychological, achievement and intelligence tests. Review the videos below to learn to search Health and Psychosocial Instruments and Mental Measurements Yearbook on the OVID platform.